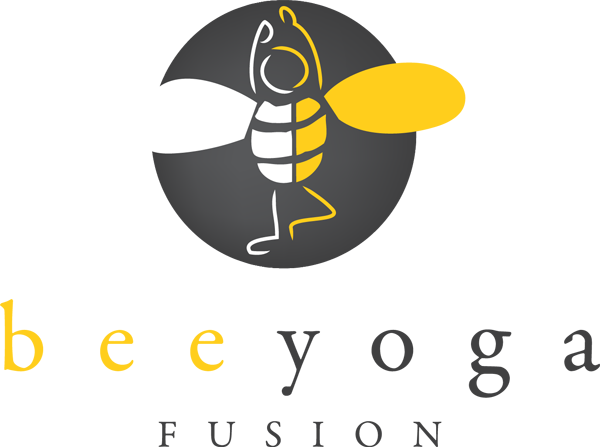 Many of you know that for several years I struggled with chronic back pain. After years of seeking solutions, I was lucky to find Dr. Todd Sinett - my favorite doctor in the Universe. He recently publish a book, The Truth About Back Pain, which is (as the covers promises) a revolutionary, individualized approach to diagnosing and healing back pain. This blog is dedicated to crafting, cooking, and conscious living. It is difficult to craft and cook if you are in chronic pain and you are definitely not living consciously if you are ignoring pain by habitually taking over-the-counter or prescription medications to mask pain. If countless other methods have failed, I beg you to buy this book and give it a read - it could change your life. Meeting Dr. Todd definitely changed mine. Prior to being treated by Dr. Sinett's methods I suffered daily for over 5 years with chronic, yet not diagnosable, back pain. In addition to seeing medical doctors, physical therapists, and massage therapist I read EVERY book on back pain on the market. 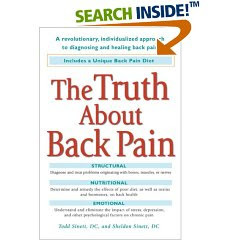 None are as clear and concise as Dr. Sinett's slim volume, The Truth About Back Pain. My gratitude for this book is over whelming because I know it will help others wake-up to the true causes of their chronic pain! If you are beating yourself up for having mysterious back pain (or shoulder pain or stomach pain etc.) that keeps you from living the life you know you should be living - this book will begin to reveal to you that the pain is not just in your head. It is real; however, it might not be bending over to pick up the car keys that started it. It might be poor diet or unrecognized emotional stress. Share this book with your chiropractor or current medical profession and see if together you can help heal your pain without costly operations or Western medical pain killers. And, if you do live in NYC - read the book then seek treatment at Midtown Chiropractic Health and Wellness. You don't have to live with back pain. You deserve to be happy and pain free. Well, it seems that most chiropractic patients started wearing Sacroiliac Belt (aka SI belt) around their pelvis as it is recommended by most chiropractors across America. By providing the correct balance of resistance and resilience, the sacroiliac belt re-establishes the joint’s normal motion, relieving stress and instability at these weight bearing structures. There many good SI Belts out there, but as far as quality, comfort, and prices are considered - Serola Sacroiliac Belt seems to be the best in the market. I'd say it was well worth my $38 investment when I was in severe back pain, which was caused by a sports injury. Visit their website for more info: http://www.serola.net. Hope this info is helpful to others. Good Luck!